Spielberg was obsessed with film all his life and began directing in the early 1970s. His breakthrough was the masterpiece thriller Jaws (1957), one of the most profitable films ever produced. Jaws, like many of Spielberg’s subsequent successes, was the story of an ordinary man confronting the extraordinary—in this case, a killer shark; in the case of Close Encounters of the Third Kind (1977), it was extraterrestrials. 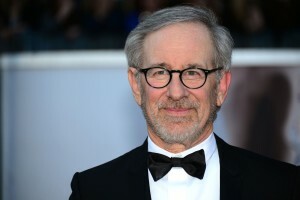 In his later career, Spielberg reached beyond the adventure and science fiction genres with such films as Schindler’s List (1993) —about the Holocaust— and Saving Private Ryan (1998), set against the events of D-Day.